Juha Mäkikalli was appointed Honorary Consul of Finland for the State of Colorado in May 2010. He is presently serving as the Dean of the Colorado Consular Corps. A native of Finland, Juha majored in international marketing and received a Master of Science in Economics and Business Administration degree from Turku School of Economics and Business Administration, Finland in 1993. 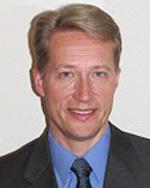 After obtaining account and sales management experience working with internationally operating companies, Juha relocated to Colorado in 2000 to establish a U.S. subsidiary for Novo Group, a Finnish information technology company. Since 2006, he has been working as a business development executive and business integration program manager for Jeppesen Sanderson, a subsidiary of the Boeing Company.